Autumn is one of Zhukovsky’s favorite themes, in it he reaches a wide range – from the mild sadness of a dull gray day to the dazzling, sun-drenched autumn landscape. Etude “Autumn” is written in major tones. The landscape is illuminated by the rays of a dim sun. It has a pale blue sky and a bright blue rippled water surface, a cozy courtyard with a simple life reviving the landscape. 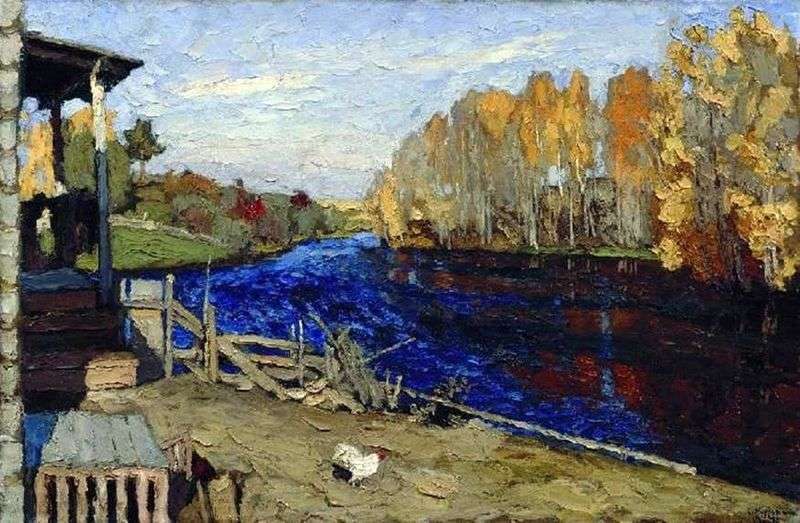 Description and meaning of the painting Autumn (By the pond) by Stanislav Zhukovsky.